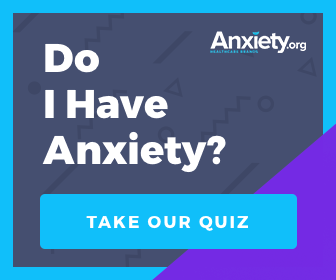 Does Anxiety Always Correlate To Body Image Issues? A recent study examines the differences and similarities between the way body image concerns manifest within those with Obsessive-Compulsive Disorder, Social Anxiety Disorder, and Panic Disorder. An individual's level of concern over physical appearance may not be associated with only one type of anxiety disorder, but is a common symptom among a spectrum of anxiety disorders, proposes a study published in Body Image. In this study, Dr. Idan Aderka from the Univeristy of Haifa and Boston University makes comparisons between the way body image concerns manifest within those with Obsessive-Compulsive Disorder (OCD), Social Anxiety Disorder (SAD), and Panic Disorder (PD). Past studies focused on body image concerns with only one of the aforementioned anxiety disorders. However, Dr. Aderka collects data regarding body image from a pool of 22 OCD patients, 25 SAD patients, and 21 PD patients. Using a survey, he measured levels of body image disturbance and appearance concern by analyzing their answers and attitudes to questions regarding appearance. Dr. Aderka dives into the study with the precepts of body image issues affecting those with OCD or SAD more than those with PD. Aderka focuses on the concept of Body Image Disturbance. Body image disturbance is defined by a significant preoccupation with certain parts deemed unattractive by the individual. This occupation leads to obsessive-compulsive tendencies over looks, and affects social interaction. To assess an individual's level of body image disturbance, individuals were asked questions as simple as, “How attractive do you feel? How important do you think being attractive is? Do you fear and avoid different social situations?" Dr. Aderka uses questions because “we were interested in the associations between body image and these anxiety disorder symptoms." “We all have some concerns about our appearance and our attractiveness, and thinking about these things is perfectly healthy," reassures Dr. Aderka. However, these concerns can reach clinically stressful levels “when we begin to feel heightened distress and are tormented because of our appearance." Some concerns about body image are absolutely normal and even positive. But according to Dr. Aderka, individuals reach a clinical level of anxiety when “social and occupational functioning becomes impaired." According to the DSM V, clinically stressful concerns over minor and imagined defects in body image identify Body Dysmorphic Disorder (BDD). BDD is an anxiety disorder that has an individual excessively obsess over their looks. All of the above add to daily stress, and prevent individuals from completing obligations unrelated to physical appearance, but it is important to note that not all with body image issues will engage in all of these behaviors. Prior to the study, Dr. Aderka hypothesized that patients with PD would have lower levels of body image disturbance in comparison to those with OCD or SAD. However, findings revealed that individuals with PD shared similar levels of body image disturbance and negative attitudes towards appearances with those with OCD or SAD. From this, Aderka concludes that “body image disturbance may be somewhat elevated in anxiety orders in general." By identifying body image disturbance as a common symptom between these disorders, the study proposes that body image concerns play a significant role in multiple anxieties. In terms of treatment methods, alleviating anxieties over body image can potentially control obsessive-compulsive behavior, and improve social life. However Dr. Aderka states that more research needs to be done before finding conclusive evidence for treatment modifications.